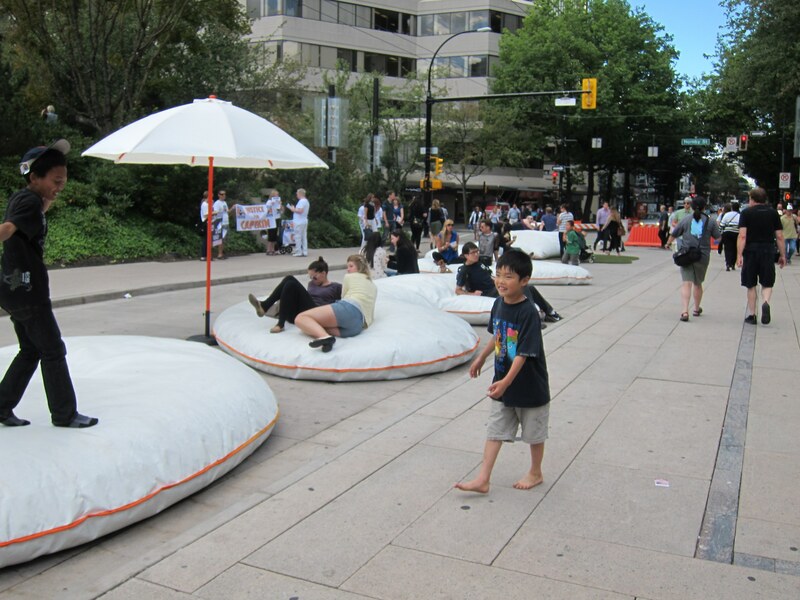 In the summer of 2012, as a part of the VIVA Vancouver program, a temporary installation called Pop Rocks helped turn a busy street in downtown Vancouver into a popular meeting spot for relaxation and play. 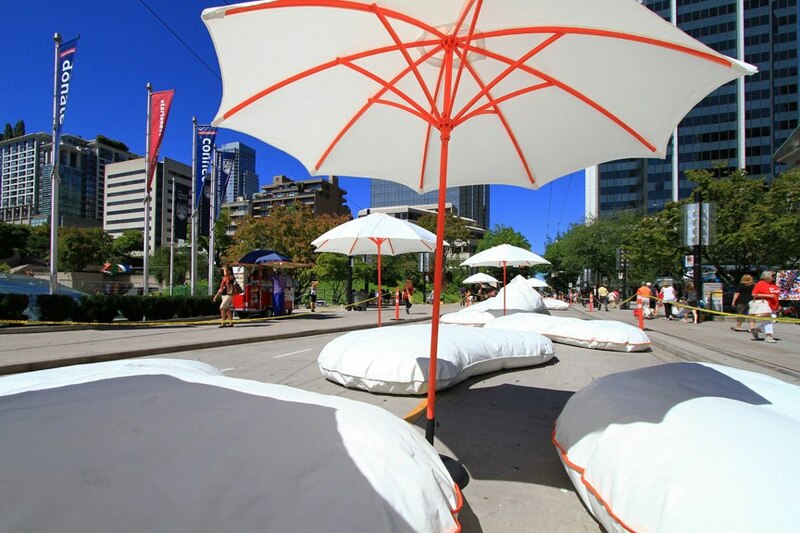 With help from AFJD Studio and Matthew Soules Architecture, the installation consisted of large boulder-shaped pillows, patches of astroturf, and multiple umbrellas alongside the road. 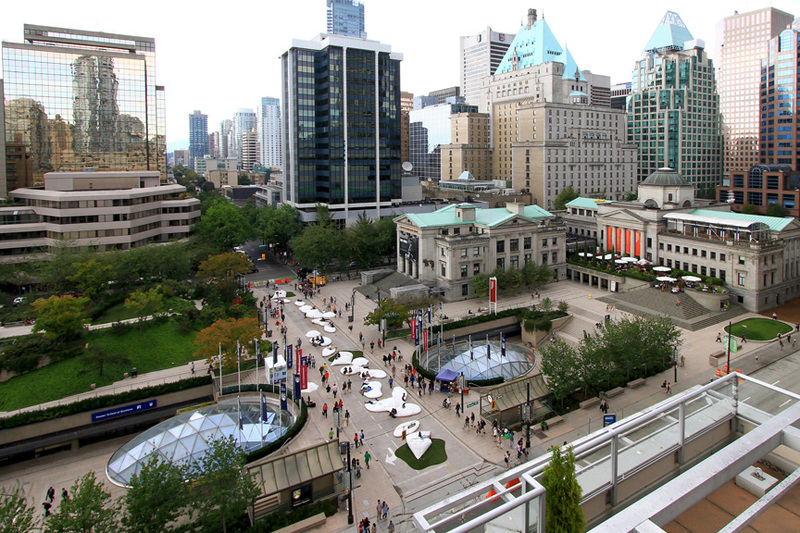 The theme of sustainability was maintained throughout the project, and the soft shapes were made entirely out of recycled post-consumer and post-industrial materials that were sourced from the Vancouver metro area. Detailed inscriptions on the structures also helped convey their environmental benefits to users. 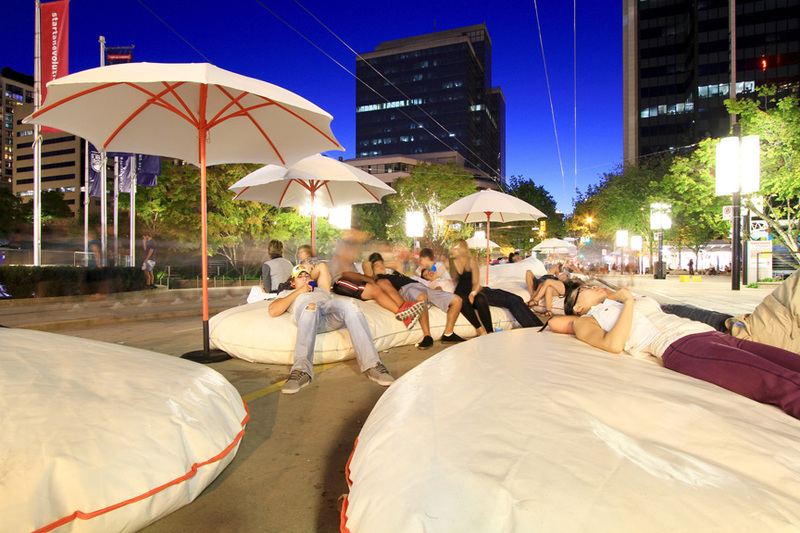 The overall aim of the Pop Rocks project was to reclaim a downtown roadway as a place for pedestrians to have serendipitous experiences. 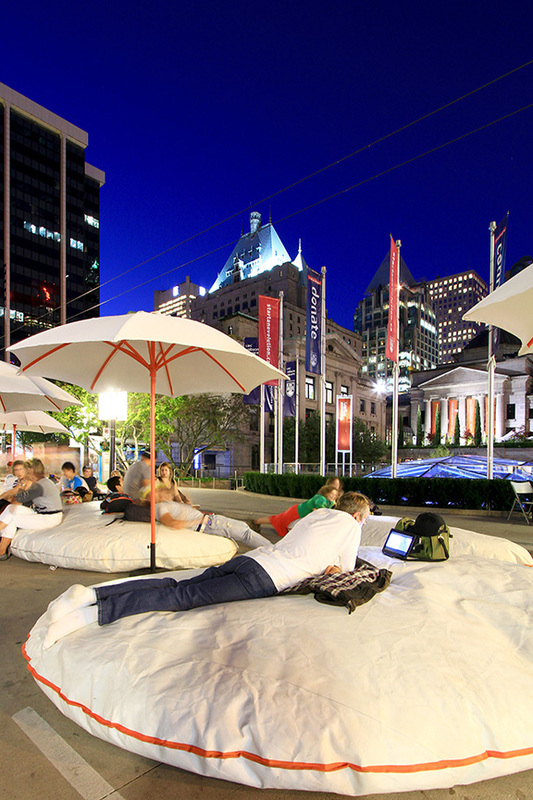 The comfortable pillows gave visitors an opportunity to engage with the installation in a variety of ways, from sunbathing and socializing to napping, eating, and playing. 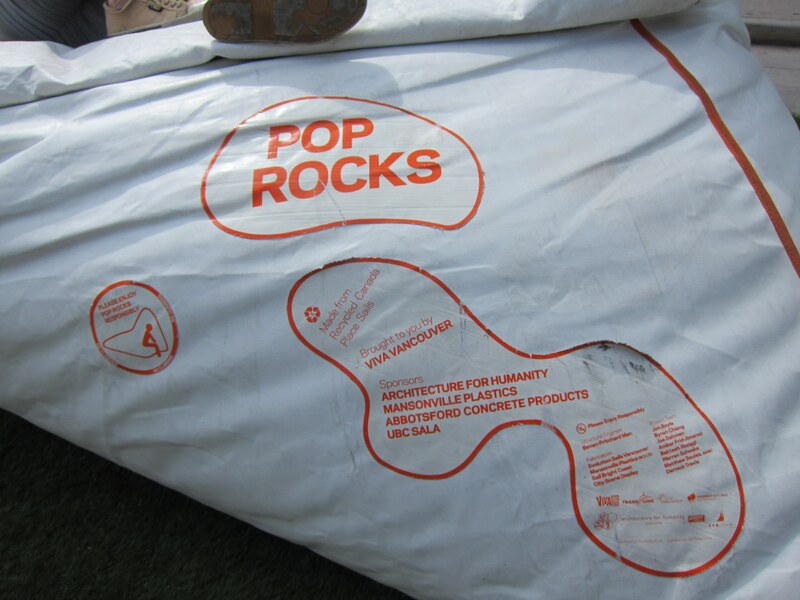 Pop Rocks has since been relocated to a new destination outside the University of British Columbia’s Koerner Library so that it can be enjoyed and explored by more Vancouverites.